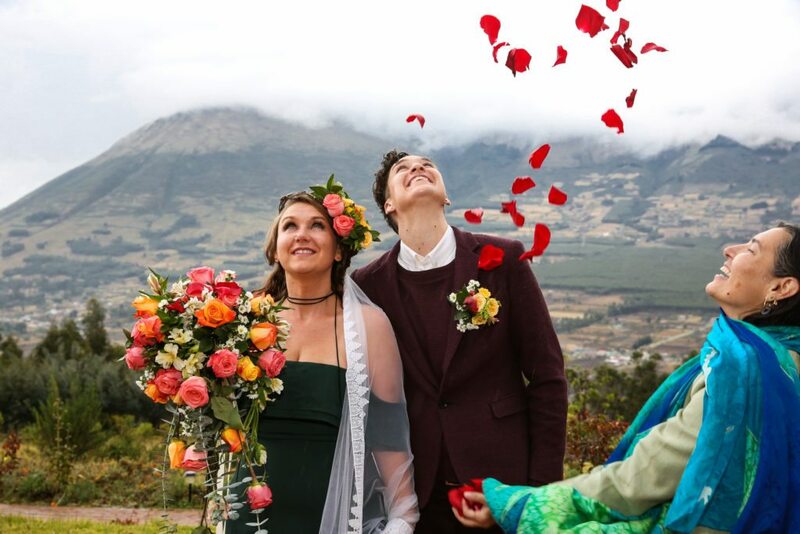 We Eloped: Yup, Lindsay and I Got Married in Ecuador! 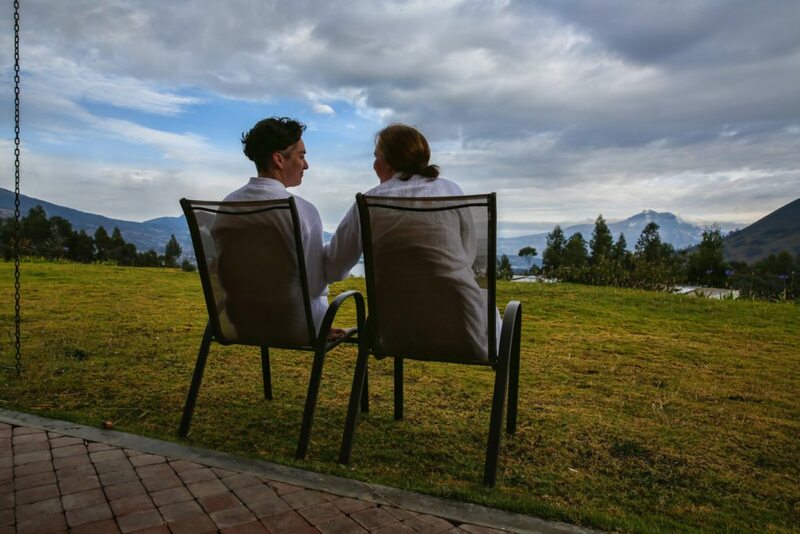 On September 14, 2016, Lindsay and I committed our lives and love to each other in a private ceremony in the Andes mountains of Ecuador at a gorgeous wellness resort called My Sacha Ji. 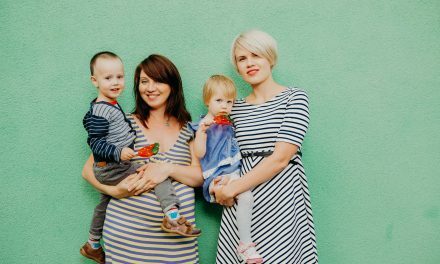 We eloped because travel and emphasizing experiences over material possessions have been strong themes throughout our relationships. We had an adventure and started our marriage by building memories together. 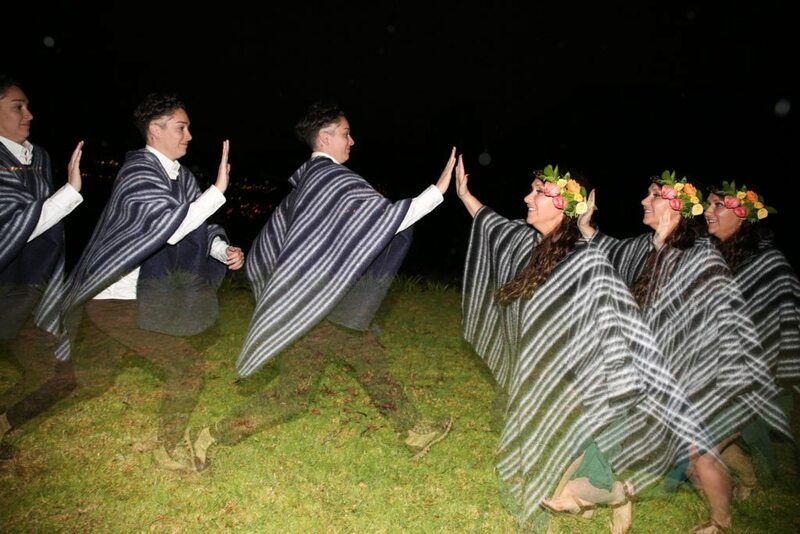 We selected Ecuador because of its natural beauty, gorgeous culture, and multiple ecosystems. 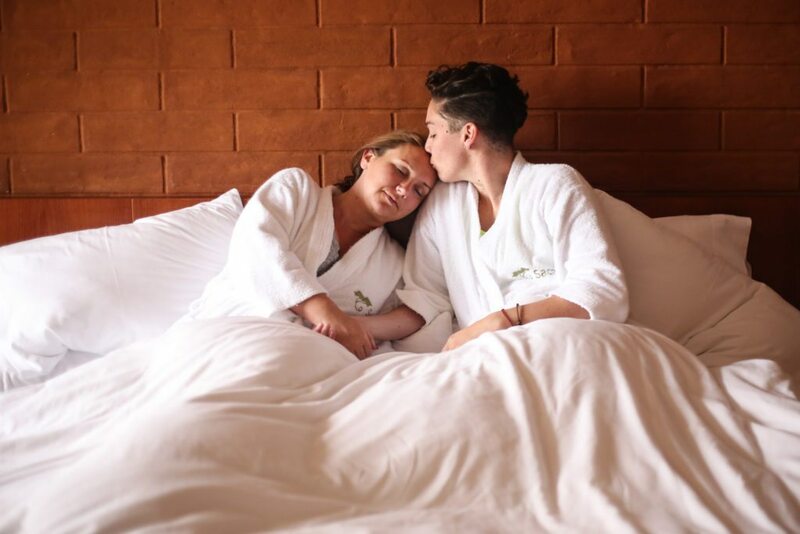 We also wanted to emphasize a less common LGBT travel destination. 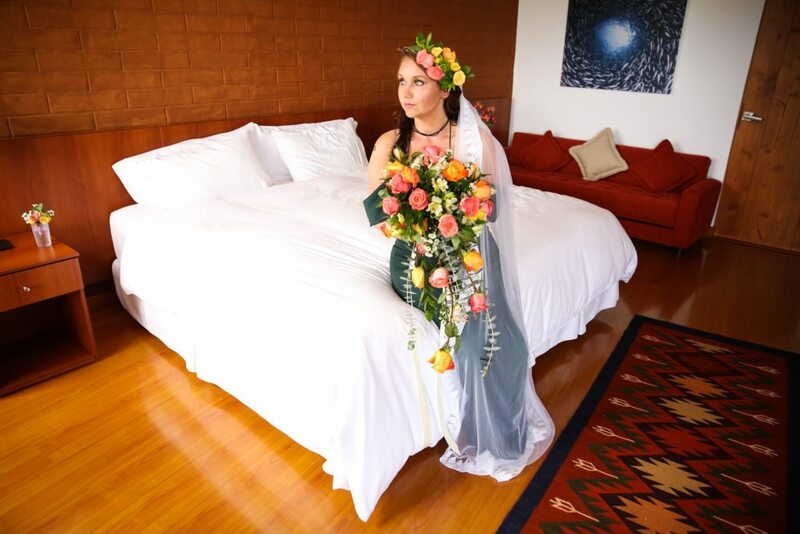 We started our ten-day joint elopement and honeymoon in Banos, Ecuador. We hiked the Amazon rain forest, rappelled waterfalls, ate way too much food, and enjoyed some spa services. 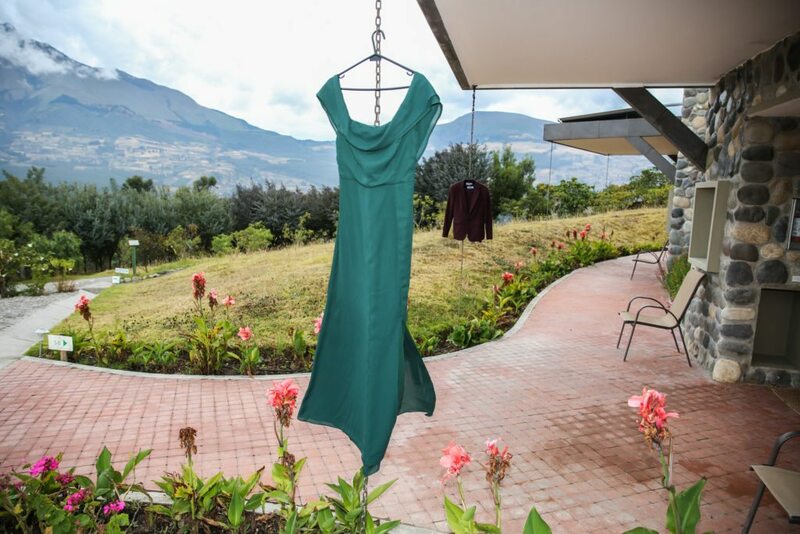 After our time in Banos, we met up with our photographer Grace Chu and headed to the Andes mountains for a four-day stay at My Sacha Ji Eco and Wellness Retreat. Honestly, My Sacha Ji is the most beautiful and relaxing place we’ve ever experienced. 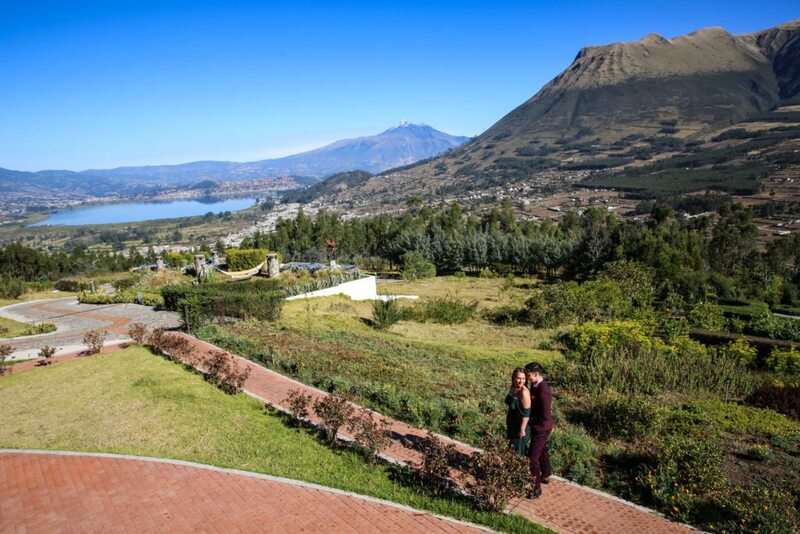 Set on top of a mountain overlooking the city of Otavalo, the avenue of the volcanoes, and Lake San Pablo, My Sacha Ji will always have a special place in our hearts. We spent four days being pampered and spoiled and just basking in each other. The details are what made our trip and My Sacha Ji itself special. Each day we wandered the open grounds playing with Valentino, Filla, and Aura -the resort’s pups – or watching the llamas chewing their meals. We spent time reflecting in the organic garden and lazing about in the hammocks or hot tub. 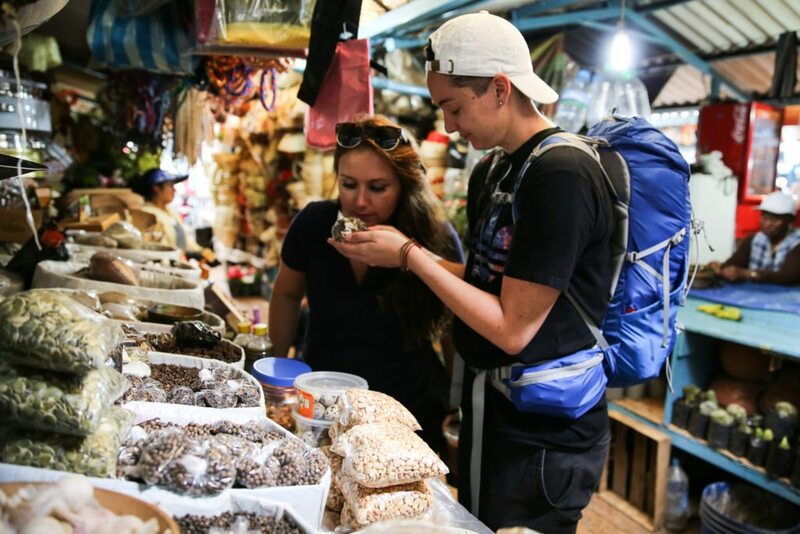 Each day we learned a bit more about Andean culture, cuisine and the eco-friendly values and architecture of My Sacha Ji. It was an opportunity to quiet the noise around us and focus on each other and the commitment we were making. 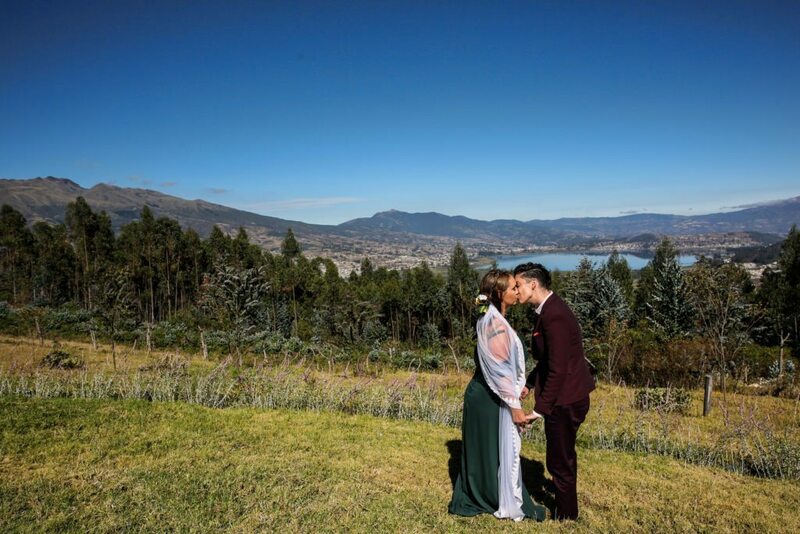 We reflected, planned for the future, and spent our time in Ecuador growing even more in love. Our wedding day was spent just the two of us. 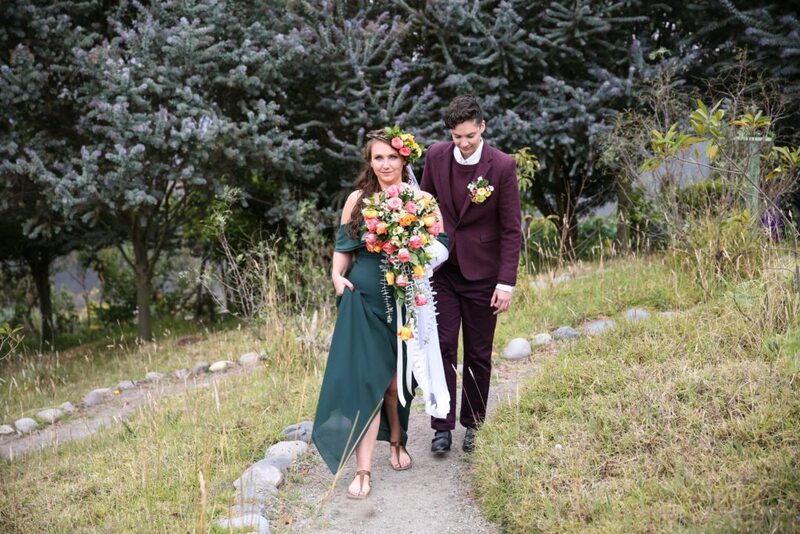 Me in a hunter green, off the shoulder, gown and simple sandals and Lindsay in an ethically produced burgundy tweed suit and vegan shoes from Brave Gentleman by Joshua Katcher. It was just the two of us, a photographer, the owner of My Sacha Ji and an officiant. 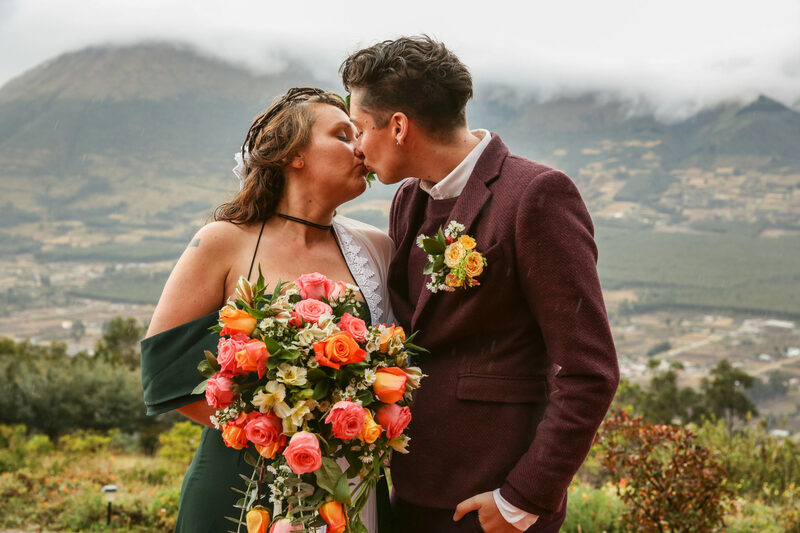 Maria Teresa, the owner of My Sacha Ji, and Chris, our officiant, helped us create something that felt real and authentic to us. 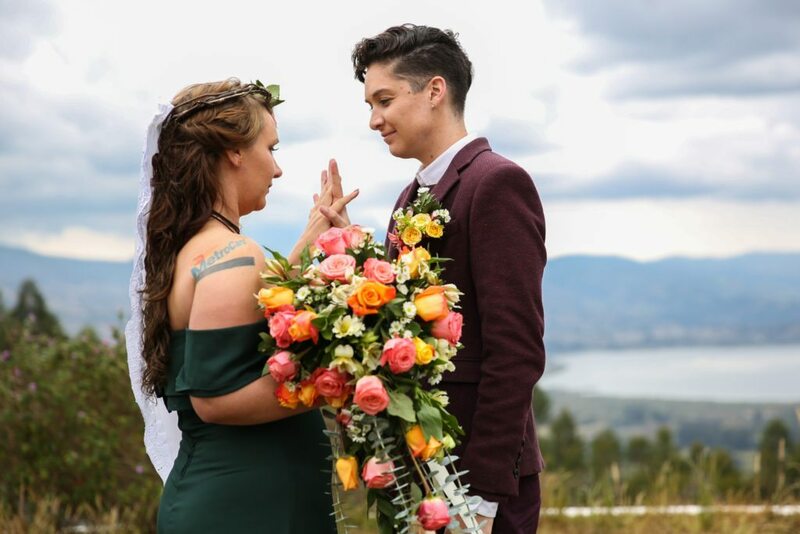 Our ceremony was heavy on symbolism and every aspect was filled with meaning. 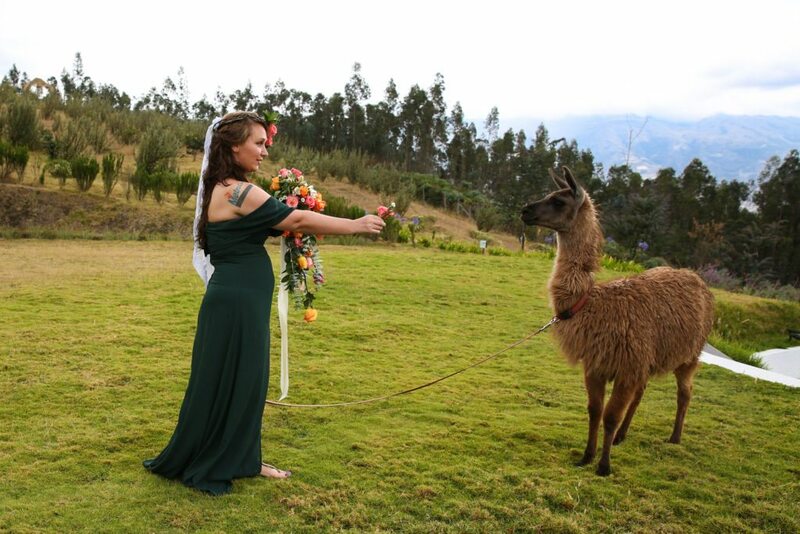 Our officiant designed a ceremony that introduced traditional Ecuadorian elements and honored the natural world. We started early in the afternoon and included themes of the physical beauty of My Sacha Ji, the four elements of nature, Ecuadorian culture, the Five Love Languages, and a reading of our own personal vows. 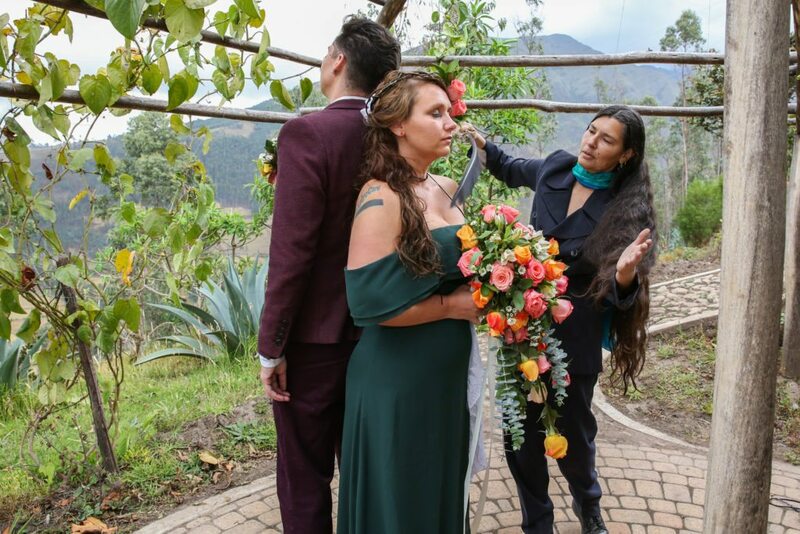 The ceremony started by honoring the Earth in the organic garden, standing back to back and holding hands, while experiencing a limpia, or spiritual cleansing. 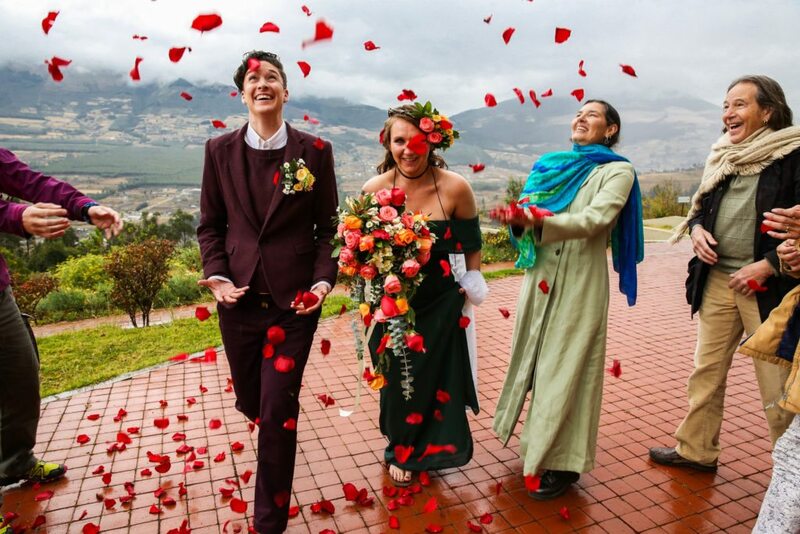 We moved from the garden to the edge of the property where we washed each other’s feet with water and Ecuadorian rose petals in an act of servitude while promising to serve each other in both times of peace and turbulence. 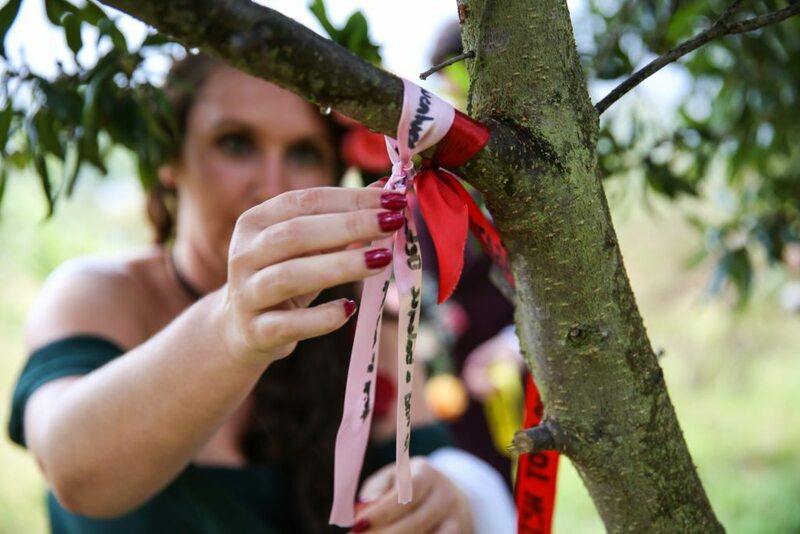 Afterwards we made our way to the wish forest where we wrote our wishes on ribbons and sent our words of affirmation into the air by hanging them in the trees. We finished our ceremony near the fire-pit where we read our own vows, exchanged our rings, and later sent the paper up in smoke in the fire pit. It was the perfect introduction to married life for us. We will later be hosting an intimate brunch reception here in Washington DC for our close friends and family. 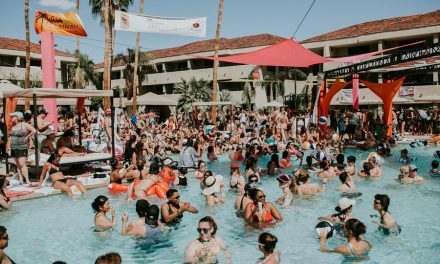 We’d like to share our photos and our celebration with you. Thanks for reading and supporting our journey. PS: Stay tuned later this week for a review of My Sacha Ji, and an article discussing the importance of sustainability in travel and fashion. 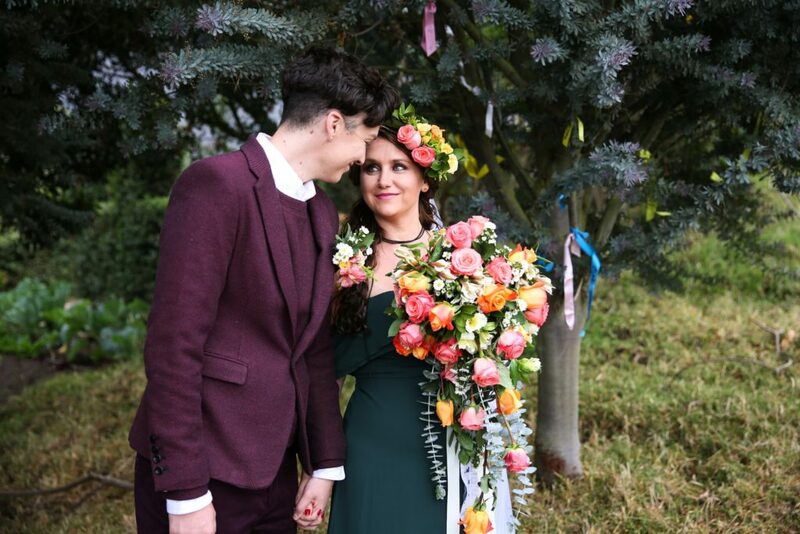 A special thanks to Grace Chu Photography, Sacha Ji and Brave Gentleman for supporting us on our big day! Congrats you two! You both look amazing. 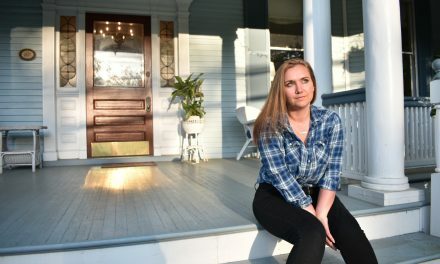 The location seemed absolutely stunning as well. 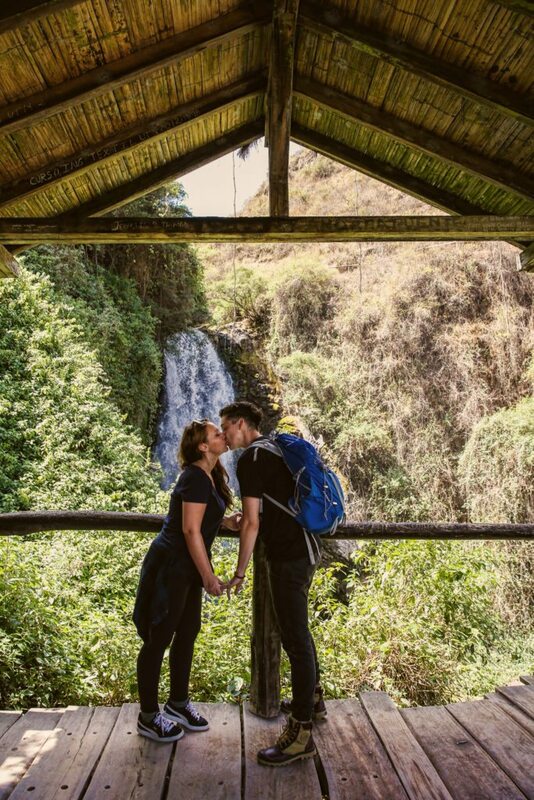 Hiking through the Amazon for honeymoon? That’s certainly unique and so not cliché. So cool! Wishing you all the best! What a gorgeous ceremony! Congratulations!